The building which Woodwork Studios 59 occupies is hidden behind one of the most frequented corner shops in the area. This building is an old Victorian industrial shell, and until a few weeks ago, housed a large, open workshop for artists and film makers. 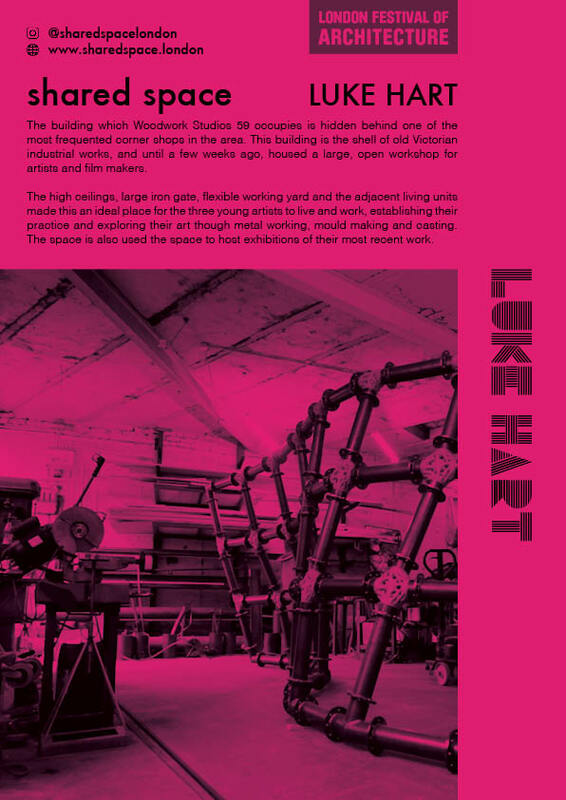 The high ceilings, large iron gate, flexible working yard and the adjacent living units made this an ideal place for the three young artists to live and work, establishing their practice and exploring their art though metal working, mould making and casting. The space is also used the space to host exhibitions of their most recent work.